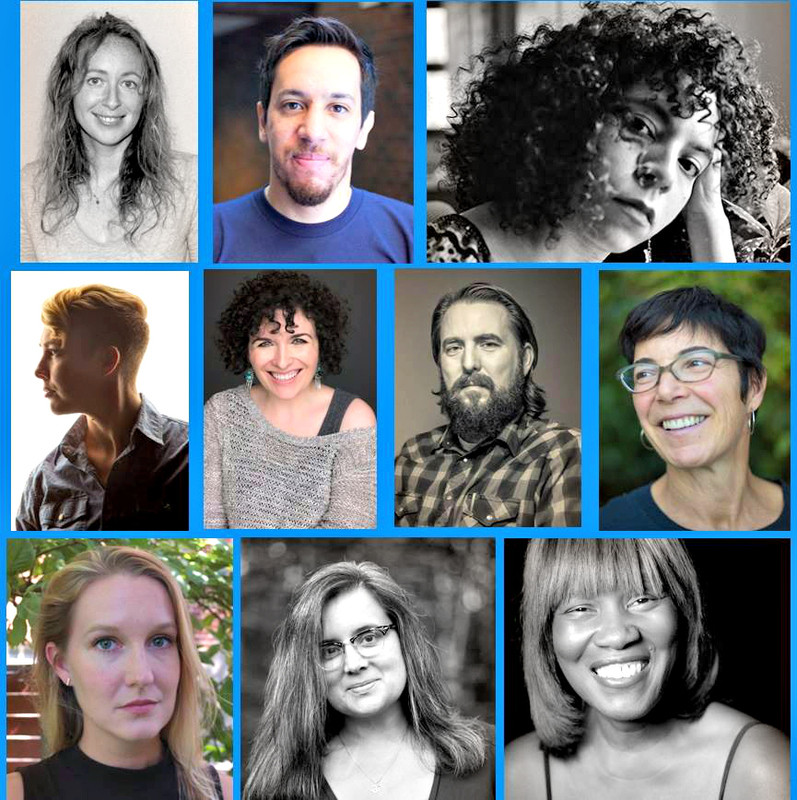 AWP '19 Off-Site Reading: Norse Hall, Lodge Room, 111 NE 11th St.
On Friday, March 29th, from 9:00-10:30 PM PDT, please join us at Norse Hall, Lodge Room, 111 NE 11th St (just half a mile from the convention center in Portland, OR) for a free reading featuring BPJ contributors and our 2019 Adrienne Rich Award judge, Patricia Smith. There will be refreshments, ample seating, and journals for sale along with contributors’ new titles! We hope to see you there! Christine Gosnay is the author of Even Years (Kent State University Press, 2017), winner of the Stan and Tom Wick Poetry Prize, and The Wanderer, winner of the Chad Walsh Chapbook Prize from Beloit Poetry Journal. Her work has appeared in POETRY, The Missouri Review, The Poetry Review, New Ohio Review, and Third Coast Magazine, and has featured on Poetry Daily and Verse Daily. She lives in Maryland. Daniel Arias-Gómez was born and raised in Guadalajara. He holds an MFA in poetry from CSU Fresno. His poems have appeared in The American Poetry Review, Beloit Poetry Journal, New Ohio Review, Poet Lore, and others. francine j. harris is the author of play dead, winner of the Lambda Literary and Audre Lorde Awards and was a finalist for the Hurston/Wright Legacy Award. Her third collection, Here is the Sweet Hand, is forthcoming from Farrar, Straus & Giroux. Originally from Detroit, she has received a fellowship from the National Endowment for the Arts, is a Cave Canem poet, and is the 2018/2019 Rona Jaffe Foundation Fellow at the Cullman Center for Scholars and Writers at the New York Public Library. Jehanne Dubrow is the author of seven poetry collections, including most recently American Samizdat (Diode Editions, 2019), as well as a book of creative nonfiction,throughsmoke: an essay in notes (New Rivers Press, 2019). Her eighth collection of poems, Simple Machines, won the Richard Wilbur Poetry Award and will be published by the University of Evansville Press at the end of 2019. Her work has appeared in Virginia Quarterly Review, The New England Review, and The Southern Review. She is an Associate Professor of creative writing at the University of North Texas. Joe Wilkins is the author of a memoir, The Mountain and the Fathers, and three collections of poetry, including When We Were Birds, winner of the 2017 Oregon Book Award in Poetry. His debut novel, Fall Back Down When I Die, is now available from Little, Brown. Wilkins lives with his family in western Oregon, where he directs the creative writing program at Linfield College. Corey Van Landingham is the author of Antidote, winner of the Ohio State University Press/The Journal Award in Poetry, and Love Letter to Who Owns the Heavens, forthcoming from Tupelo Press. A recipient of a National Endowment for the Arts Fellowship and a Wallace Stegner Fellowship from Stanford University, her poems have appeared in Best American Poetry, Georgia Review, Kenyon Review, and The New Yorker. She teaches in the MFA program at the University of Illinois Urbana-Champaign. Martha Silano is the author of five poetry books, including The Little Office of the Immaculate Conception, Reckless Lovely, and the just-released Gravity Assist, all from Saturnalia Books. She co-authored, with Kelli Russell Agodon, The Daily Poet: Day-By-Day Prompts For Your Writing Practice. Martha teaches at Bellevue College, near her home in Seattle, WA. Nicole Stellon O’Donnell’s first collection, Steam Laundry, won the 2013 WILLA Literary Award for Poetry. Her second book, You Are No Longer in Trouble, a memoir-in-flash about being a teacher, a student, and a principal’s daughter is forthcoming in March 2019 from the Marie Alexander Series. Her third book, Everything Never Comes Your Way, a collection of poems, will be published by Boreal Books in 2020. Patricia Smith is the author of eight books of poetry, including Incendiary Art, winner of the 2018 Kingsley Tufts Award, the 2017 LA Times Book Prize, the 2018 NAACP Image Award and finalist for the 2018 Pulitzer Prize. She is a professor at the College of Staten Island and in the MFA program at Sierra Nevada College. BELOIT POETRY JOURNAL is aN INDEPENDENT, 501(c)(3) nonprofit organization.